Please click here for a link to our newsletter, El Correo – December 2017. In October 2016, El Camino Real de los Tejas National Historic Trail Association (ELCAT) was awarded a Texas Preservation Trust Fund grant from the Texas Historical Commission (THC) for their Rancheria Grande archaeological project in Milam County, which is about 75 miles east of Austin. The grant is a matching grant that is funded by the THC at $30,000 for a total of $60,000 towards the project. The earliest history of Colonial America is intrinsically linked to early Texas history, which represents shared ideas of liberty between Spanish, French, and English colonists. The history of the United States begins in early Texas history as much as it does in the thirteen American colonies. The story of the Rancheria Grande rivals the narrative of Plymouth Rock and Jamestown, and all three with the Spanish Missions ranchos of La Provincia de los Tejas are equally responsible for the successful colonization of North America. The Rancheria Grande represents the largest conglomeration of Native American and European groups that assisted in the transportation of goods, soldiers, ammunition, funding, and cattle to the American Revolutionary war effort. Social and economic ties were required to pass safely along El Camino Real de los Tejas through Rancheria Grande territory; without good relations with the 23 nation groups, our national narrative might have been very different than it is today. Working to highlight this history, ELCAT and archaeological firm, GTI Environmental have been conducting archaeological investigations in the Rancheria since late 2016, and many exciting discoveries are taking place! In the Fall of 2016, an extensive swale of the Camino was discovered on the Conner property within the Rancheria. Known as the Conner Swale, the remnant is several hundred feet in length and is in alignment with the official NPS trail-line. The Conner’s have since cleared the undergrowth and restored the swale to its historic setting. They have guided tours of their property, in conjunction with the Texas Master Naturalists, and they anticipate incorporating Camino history and viewing of the swale into their tours. Beyond the archaeology, three property owners within the Rancheria Grande have certified their properties as official sites on the trail via the Landowner Certification Program (LCP) of the NPS-NTIR. Combined with Apache Pass’ certification in 2012, Milam County now has the largest conglomeration of private landowners anywhere on the Camino Real who are taking part in the LCP. More so, the Texas Parks and Wildlife Department has filmed the archaeological efforts in the Rancheria for their weekly PBS series. The segment will air in February 2018. The Rancheria and its role in the history of El Camino Real de los Tejas National Historic Trail cannot be understated, and through partnerships with private landowners, state and federal agency partners, and the non-profit trail association, the archaeological effort is a model of the partnerships intended for within the National Trails System Act! Phase I Development at Lobanillo Swales is Complete! From November 6th through 8th, the first phase of development at the association trail property, the Lobanillo Swales, took place! With the use of machinery and labor donated from Sabine County, Texas and materials donated from Big 4, Inc. in Hemphill, Texas, under the supervision of association staff, county workers undertook the project. The first day of construction included the activities of removing an old culvert from underneath the road and replacing it with a new one, leveling and smoothing the existing roadway, and clearing underbrush for the creation of a parking area and trailhead. By day two, the lions-share of the work was done! The roadway and parking area were layered with fill and then topped with the road-base, and the trailhead was covered in fill as well. Lastly, boulders were placed to delimit the parking area and trailhead and outline the initial path toward the loop trail. (All materials, including fill, road-base, and boulders are of locally-sourced stone that blends in perfectly with the surrounding environment!) Finally, on November 8th, parking curbs were put in place to set the boundary between the trailhead and parking area, and Phase I of development was complete! Phase II of development is slated to take place in early 2018 and will consist of the creation of a ¼ mile loop trail and the installation of site identification signs at the entrance and interpretive panels at the trailhead. A ribbon cutting ceremony for the grand opening of the site will occur soon after and will also be the kickoff of our 50th anniversary celebration of the National Trails System Act! Stay tuned to our Facebook page and website for more information. On August 25, 2017, Hurricane Harvey made landfall on the Texas coast. Coming onshore, just north of Corpus Christi, as a Category 4 storm (130 – 156 MPH), the tempest headed in a northwesterly direction towards San Antonio, before turning and heading east towards Houston and Louisiana. With massive winds pushing it along its way, the storm dropped record-setting, torrential rains across vast swaths of both states. Some areas in Texas recorded over sixty inches of rainfall, requiring the National Weather Service to add new colors to its color charts to accurately depict the deluge that was taking place! (NPR.org, last accessed November 3, 2017) The extent of storm damage spanned from south Texas to western Louisiana and multiple trail sites were affected. In south Texas, in Goliad, roughly fifty miles from where the storm came ashore, the initial impact was massive. Storm winds knocked down centuries-old oak trees, ripped roofs from buildings, and tore down fences! Harvey also dropped from 12” – 15” of rain on the community, causing flash-flooding in creeks and along the San Antonio River. Goliad State Park and Historic Site, a Camino resource that houses a Spanish mission built in 1749, was severely affected by the storm. According to the Texas Parks and Wildlife Department, “The hurricane took down or damaged over 200 trees in the park. Most buildings were unhurt. However, the maintenance shop lost its roof and a storage building was heavily damaged. The park lost power. The San Antonio River was forecast to crest at 34 feet.” (TPWD online, last accessed November 3, 2017) The park was completely closed from August 27th until September 23rd, when it partially reopened, though many areas still remain closed at present. Further north, at Bastrop State Park, near Austin, “Some campsites and park roads [were] flooded… [and] [p]ortions of Park Road 1C between Bastrop and Buescher were damaged.” (TPWD online, last accessed November 3, 2017) Bastrop State Park has swale remnants of the Camino and the park was also devastated by the Bastrop Fire of 2011, which decimated the Lost Pines of central Texas. Hurricane Harvey was an intense storm of record and the citizens of Texas and Louisiana are still working to recover from it. Luckily, while trail sites were heavily impacted by the storm, for the most part, they were only shut-down for a relatively short period of time, with no extensive damage to trail resources. Just days before the storm hit, speaking of Presidio la Bahia, a fort that has stood in Goliad since 1749, we noted on our Facebook page, “Pictured here is Presidio la Bahia, the Presidio of the Bay, which has stood strong for centuries on the eastern end of the presidial line of defenses on the Northern Frontier of New Spain. We are sure the presidio and the residents of Texas will continue to endure as the storm approaches.” (ELCAT, last accessed November 3, 2017) Let’s hope that this will remain true of all trail resources in the years to come, as they undergo the tests of Mother Nature, just as they have for centuries. The association has recently received a $10,000 grant for a trail intern from the Partnership for the National Trails System (PNTS). 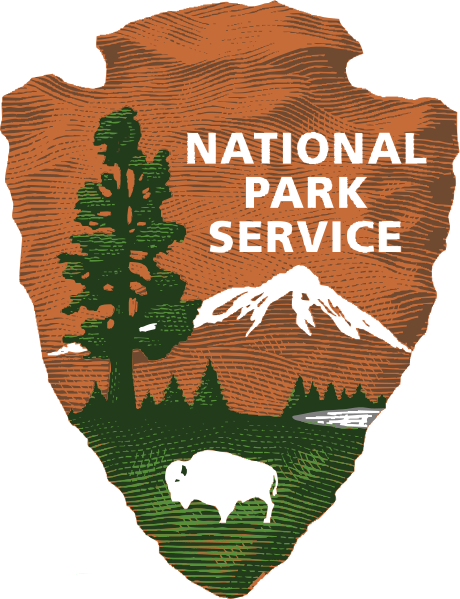 The PNTS, in collaboration with the Bureau of Land Management, National Park Service and US Forest Service, announced their grant recipients for their 2017-2018 National Trail Intern Grants. The National Trail Intern Grants will create opportunities for young adults to become involved, or further their involvement, with our national trails. Twenty grants totaling $190,000 were awarded. (A list of grant awardees can be found below.) These grants range in size from $3,600 to $10,000. The grants will be matched with over $70,000 in partner non-Federal cash funds, $280,400 of in-kind contributions, and $79,800 in other Federal funds. The grant opportunities will help to strengthen the capacity of the organizations and agencies to help administer and manage the national scenic and historic trails. “The Trail Intern grants are a splendid example of the public/private collaboration fostered under the National Trails System Act multiplying the resources of multiple partners to to strengthen the stewardship of components of the natural and cultural heritage we share as a Nation.” – Gary Werner, Executive Director, Partnership for the National Trails System. Help Support the Camino Association for the Holidays! El Camino Real de los Tejas National Historic Trail Association seeks to protect the historic integrity of the trail, to educate and engage the public about its significance, and to promote resource development, interpretation, and tourism along its path. As a non-profit 501 (c)(3), our programs and projects for the trail are largely supported by donations from individuals and businesses. With your financial contribution we are able to run a host of programs such as our education program, Geographic Information Systems mapping program, resource protection program, and our signage program. Therefore, with the holidays in full-swing, we would like to share with you ways you can help to support the association! A good way to support the association, at no cost to you, is to do your online shopping at AmazonSmile. In doing so, you will have the same selection and price as traditional Amazon, but with the added benefit of 0.5% of your purchase going to the association at no additional cost. We also encourage you to share our AmazonSmile link with your family and friends, so that they can support the association while shopping too! Much like AmazonSmile, iGive.com will donate a percentage of your sale to our organization at no cost to you. The difference is that when you shop at iGive.com, you will be able to shop with nearly 1,800 retailers who participate in the program and who donate to our cause at various rates! More so, with iGive.com you can install an application on your web-browser that will place an umbrella-like icon on your browser, so that anytime you visit a website that participates in iGive.com, you will be prompted to take advantage of the donation. It is an ingenious little tool that makes giving to the association extremely easy! Once again, please share this link with your family and friends so that they too can help support the organization. Finally, we encourage you to give the gift of membership or make a donation to the association for the holidays! There’s no easier way to share something with your family and friends that is so important to you, while encouraging them to become supporters themselves in the future! Plus, all memberships and donations are 100% tax-deductible! We know you have a choice in what you support with your hard-earned money, so thank you for helping us to identify, develop, and protect the trail for future generations! Your National Historic Trail couldn’t be what it is without you!